At its February 7 meeting the National Capital Planning Commission (NCPC) approved preliminary site development plans for the National World War I Memorial submitted by the National Park Service in collaboration with the World War I Centennial Commission. 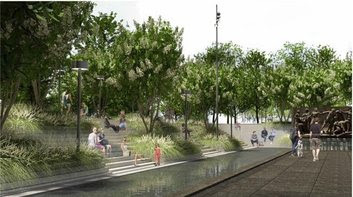 The memorial, proposed for downtown Washington’s Pershing Park, will honor the service of members of the United States Armed Forces in World War I. The primary memorial components are a freestanding memorial wall with a sculptural element on one side and an inscription on the other, and a pool with a central plaza. The Commission found that the design of the memorial wall’s inscription side is improved and noted that it is reminiscent to the park’s original fountain. Click here to read more about the NCPC findings, and how they move the Memorial closer to completion. Meanwhile, The National Park Service (NPS) is seeking comments on the proposed enhancements to Pershing Park for the national World War I Memorial. The project, including a comparison of the two alternatives, is available online at http://go.nps.gov/WWI-DEA. The public comment period is open February 6 – 27, 2019. The comment period, which originally ended on January 18, has been extended due to the partial government shutdown. Click here to find out more about how the public can comment online through the NPS Planning, Environment, and Public Comment (PEPC) website. 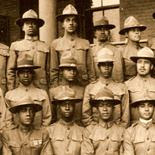 It’s African-American History Month and a fitting time to recall the black soldiers of the New York National Guard’s 15th Infantry Regiment. 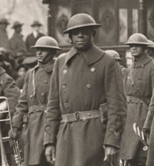 100 years ago, on Feb. 17, 1919, when those 2,900 soldiers came home as the “Harlem Hell Fighters” of the 369th Infantry Regiment, New York City residents, both white and black, packed the streets as they paraded up Fifth Avenue. Click here to read more about the big parade, and what it meant for the unit whose performance in battle, and band’s music, made dramatic impacts on America and the world. Sometimes overlooked is the fact that of the 44 members of the Hellfighters’ band, 18 were recruited from Puerto Rico. James Reese Europe visited Puerto Rico looking for musicians. The island was a haven for musical talent, with a tradition of municipal bands that resembled military ones. Click here to read more about the role and influence of these island musicians on the most famous military band of World War I. Drawing on the Ebling Library for the Health Sciences’ vast collection of health sciences materials, including early 20th century nursing journals and medical books, as well as the University of Wisconsin’s archives, a new exhibition seeks to tell the story of World War I, its impact on modern medicine, and the forgotten people who fought in it. “Staggering Losses: World War 1 & the Influenza Pandemic of 1918” officially opened Thursday, February 7, and runs through May. Micaela Sullivan-Fowler, a librarian at Ebling who curated the exhibition, talks about what she learned while preparing the exhibition, and why people should still care about World War I. When compared to World War II, says author Rhys Bowen, World War I has been largely overlooked in literature, possibly because so many of the stories tend to be dark and tragic. However, writing in the CrimeReads web site, Bowen highlights what she considers the standouts in the WWI genre, the “books that show the horror, the bravery, and the difficult aftermath of what was called ‘The War to End All Wars.’” Click here to read Bowen’s list of the seven most important novels written about the First World War and its aftermath. Last November, scholars and attendees from across the world gathered to explore the irrevocable changes years of cataclysmic conflict wrought on the global stage at the National World War I Museum & Memorial in Kansas City, MO for the presentation of Symposium – 1918: Crucible of War. If you weren’t present, you can now view the incredible presentations from Mike Hankins, James Holmes, David Kennedy, Robert Laplander, Adriane Lentz-Smith, Brian Steed, Graydon Tunstall, Kara Vuic and Geoffrey Wawro via the Museum and Memorial YouTube channel. Click here to read more about the Symposium, and get the link for the YouTube presentation of the historic event. On February 1st’s edition of the WWI Centennial News Podcast, Episode 108, host Theo Mayer spoke with Professor Jennifer Keene about the experience of the African American community during the Great War. Dr. Keene is the former Department of History Chair at California’s Chapman University. Some of her publications include The Long Journey Home, African American World War I Veterans and Veteran’s Policies, The Memory of the Great War in the African American Community, A comparative study of White and Black American Soldiers during the First World War, Wilson and Race Relations, among others. Click here to read the entire transcript of this informative podcast that sets the scene for Black History Month. 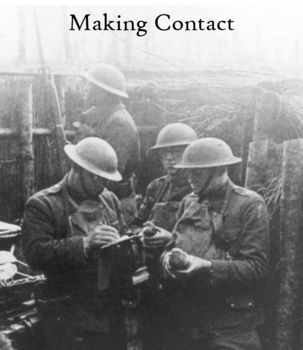 From January 25th’s edition of the World War I Centennial News Podcast, Episode 107, Host Theo Mayer brings you some headlines from the U.S. Government’s official wartime publication, The Official Bulletin, published 100 years ago. Right after America declared war in 1917, President Wilson asked a gentleman named George Creel to set up and publish a daily newspaper in which the Administration could inform America about its news, policies, programs and initiatives for the war effort. In other words, it is the Administration’s daily propaganda gazette. Click here to read a transcript of this discussion about what was making news in the Official Gazette a century earlier. The Diary of Anne Frank has always been known as a story of the Holocaust and of WWII. But it is also, in part, a story about WWI. This week at WWrite, New York Times bestselling writer of City of Women, David Gillham discusses a little-known yet important event his newly released book, Annalies, a novel that imagines a scenario in which Anne Frank survives the Holocaust: the Nazi officer, a veteran of WWI, who arrested the Frank family decided to be nice to them because he discovered that Otto Frank, Anne’s father had also served in WWI. As a historical complement to Gillham, Dutch historian Peter de Bourgraaf, from the Anne Frank Foundation in Amsterdam, talks about his research on the shortcomings of the Versailles Treaty, shortcomings be believes were the cause of WWII. Read this dual literary-historical new perspective of the one the Diary of Anne Frank, one of the world’s most important accounts of the Holocaust at WWrite this week. Monday’s MIA this week is Private Vernon Fenton Webb Jr. Born 04JULY1895 and generally known by his middle name of Fenton, Pvt. Webb was a resident of Union County, Lanes Creek Township, North Carolina and working on his family farm when he was inducted into the army on 19SEPT1917. He received his induction training at Camp Jackson before being sent to Camp Sevier and assigned as a member of Company D, 119th Infantry, 30th Division. With that unit he departed from Boston, MA aboard the transport Laomedon for overseas service on 12MAY1918. The 30th ‘Old Hickory’ Division was one of two US divisions permanently brigaded with the British during the war. Killed in action on 29SEPT1918 in the Somme Valley sector during the great ‘Final Offensive’, word of his death was received on November 5th and his father, Vernon Sr., was so brokenhearted that he died that December at the age of just 46. Pvt. Webb is memorialized on the Tablets of the Missing at The Somme American Cemetery, Bellicourt, France. Nothing else is known about his case at this time. Want to help solve Pvt. Webb’s case? Give ‘Ten For Them’ to Doughboy MIA and help us make a full accounting of the 4,423 American service personnel still listed as missing in action from WW1. Make your tax deductible donation now, with our thanks. The US Mint stopped selling the World War I Commemorative Coin on December 27, but you can still purchase the limited edition silver dollar in combination with our specially-designed display stand, personalized with information about your WWI ancestor, from the Centennial Official Merchandise store. 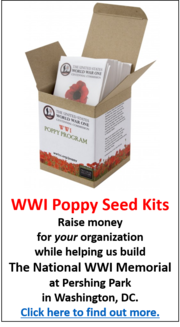 This package makes a great collectible gift for family members and descendants of those who served in World War I. Personalization can include: rank, full name, enlisted date, deceased date, unit/decorations, battles, cemetery, etc. If you already purchased the Commemorative Coin from the US Mint, you can order just the personalized display. Both the combo set and display alone are available at here. Supplies are limited. And remember: proceeds from the sale of this item go towards funding the building of the National World War One Memorial in Washington DC. 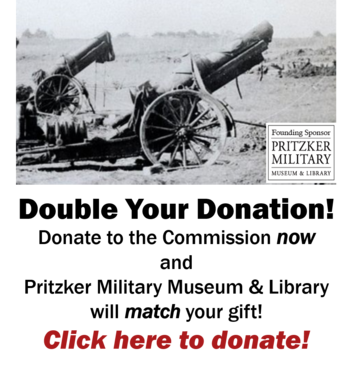 Everyone in our community possesses an interest in World War I history. One of our favorite things at the Commission is to see the different and incredible ways that this interest manifests itself. 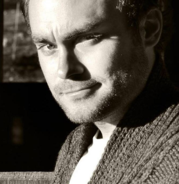 We recently came across Brennan Gauthier, who has a remarkable example of bringing his interest into a unique format. For his regular job, Brennan is a Senior Archaeologist for the State of Vermont Transportation Department. 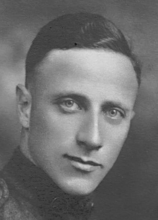 Privately, he writes & manages PortraitofWar.com, a blog site that examines World War I photography – Specifically the photo portraiture of the time. Brennan looks at the styles, the milieu, the contexts for the pictures. But then, he takes things a step further. Brennan does deep-dive looks into the subjects — their uniforms, their decorations, their units, etc. Brennan will even track down their genealogy and their grave sites, all in the name of exploring/learning who these people were, and what their experiences were. We were thrilled that Brennan gave us some time to talk about his work with PortraitofWar.com. Robert Donald West was born around 1895. Robert West served in World War 1 with the United States Army. The enlistment was in 1918 and the service was completed in 1919. My grandfather, Robert D. West, served in Company B, 140th Infantry, 35th Division, during the World War. He trained at Camp Dodge, Iowa and sailed from New Jersey to Liverpool on the HMS Adriatic. He trained with the British and French and fought in the Meuse-Argonne. During 2018 and 2019, I am posting Robert’s diary entries and the letters he sent home at mndoughboy1918.tumblr.com and on Twitter at@mndoughboy1918. His story includes a broken engagement, a shotgun wedding, leaving his pregnant bride at home, and sailing to Europe to do his part “Over There.” I am very proud to share his story with others. Read Robert Donald West’s entire Story of Service here. This entry was posted in World War One Centennial Commission and tagged World War One Centennial Commission on February 13, 2019 by Michael K. Barbour.